From its orbit 815 km above the Earth, the Sentinel-3 satellite was able to detect the height of the ice surface to within tens of centimetres , tests carried out at the remote Lake Vostok validation site in East Antarctica showed. The study, led by researchers from the new joint Lancaster University-CEH Centre of Excellence in Environmental Data Science (CEEDS), alongside European Space Agency (ESA) and industry partners, shows the potential of Sentinel-3 – one of the EU Copernicus satellite missions – to contribute towards long-term ice sheet monitoring programmes. The scientists also found that Sentinel-3 could detect areas where the ice surface was rapidly lowering, thereby establishing the satellite’s credentials as a new platform which can help to monitor Antarctica’s contribution to sea level rise. Determining how well Sentinel-3 functions over ice sheets is particularly important given that CryoSat-2, ESA’s dedicated polar mission, is already operating well beyond its planned lifetime. CryoSat-2 was designed to fly in a unique orbit, to maximise coverage of coastal areas of the ice sheet, and to map the regions close to the North and South Poles that were beyond the reach of previous satellites. Although Sentinel-3 – which has to balance many applications – cannot match this coverage, it still holds potential as a valuable long-term monitoring platform for decades to come. Sentinel-3 uses a radar technique called Delay-Doppler altimetry to make high resolution measurements of the height of the ice sheet. Where the ice is relatively flat, Sentinel-3 could map its height to within 10 cm of measurements taken by aircraft, as part of NASA’s Operation Icebridge campaign. Using radar satellites like Sentinel-3 over ice nonetheless has its challenges. For example, measurements over Antarctica’s steeper, craggy coastal areas were less accurate because of how the rough landscape affects the radar signal. 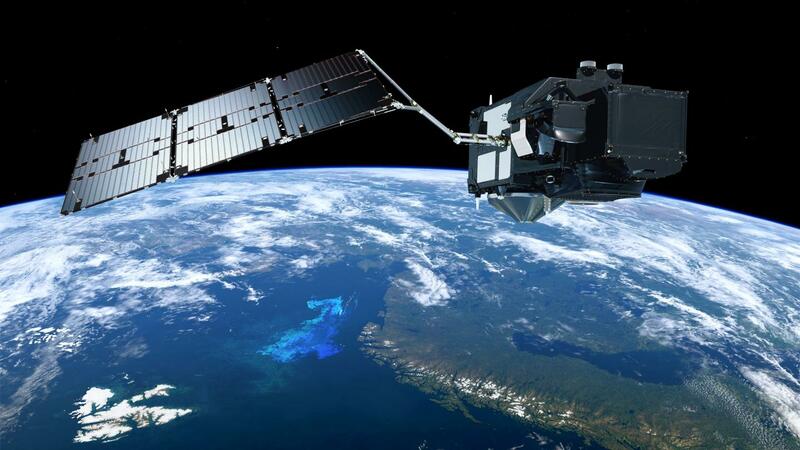 Future research into Sentinel-3’s performance, as well as further improvements to data processing, will help take these effects into account. In the meantime, Sentinel-3 has already shown its value as a new tool for detecting ice sheet change.